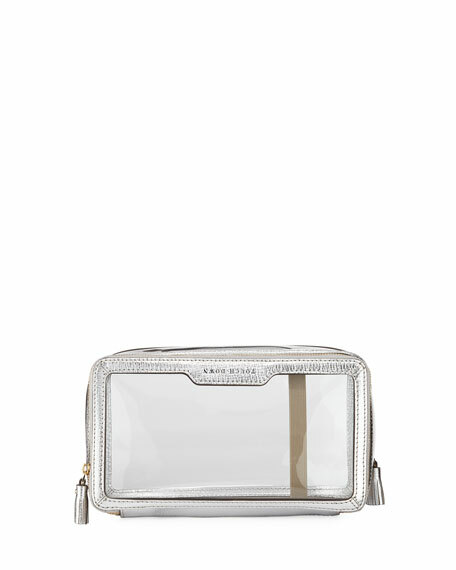 Anya Hindmarch "Inflight" clear plastic pouch. Patent trim. 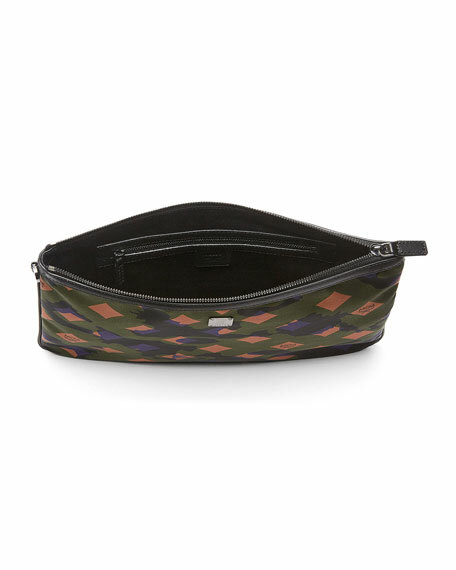 Two zip-around compartments. Labeled with "take-off" and "touch-down" 4.7"H x 3.2"W x 8.7"D. Imported. 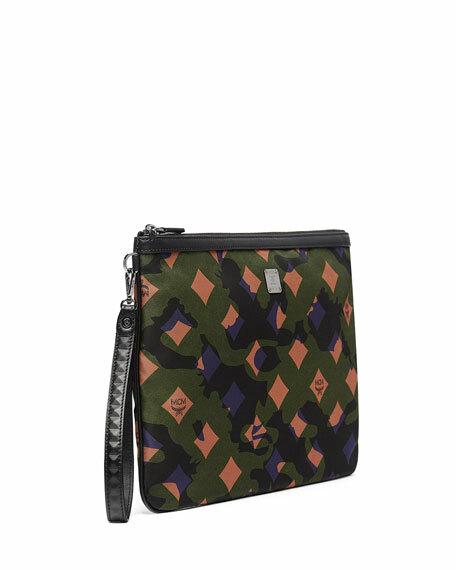 Balenciaga pouch bag in textured neoprene. Zip around closure. Logo at center front. 10.2"H x 7.9"W x 0.8"D. Nylon/polyester. Made in Italy. 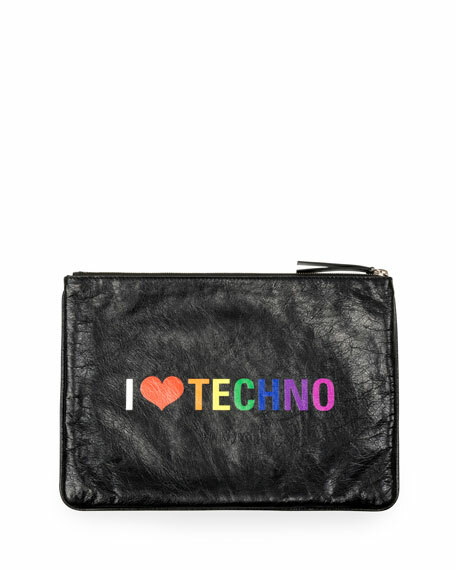 Balenciaga Men's Supermarket Clip Leather "I Heart Techno"
Balenciaga pouch bag in lambskin. "I Heart Techno" typographic. Zip top closure. Logo at center front. 6.2"H x 9"W x 0.3"D. Made in Italy. 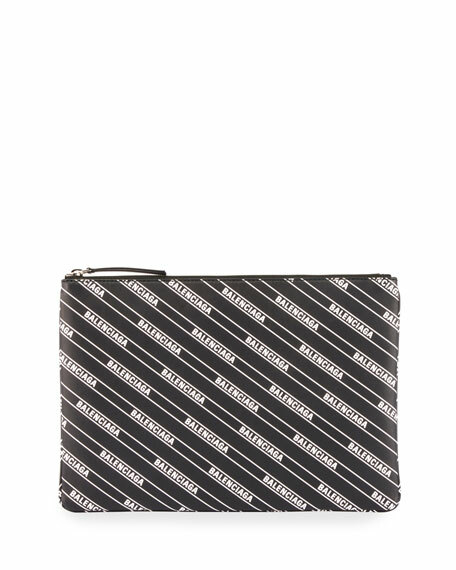 Balenciaga leather pouch bag. 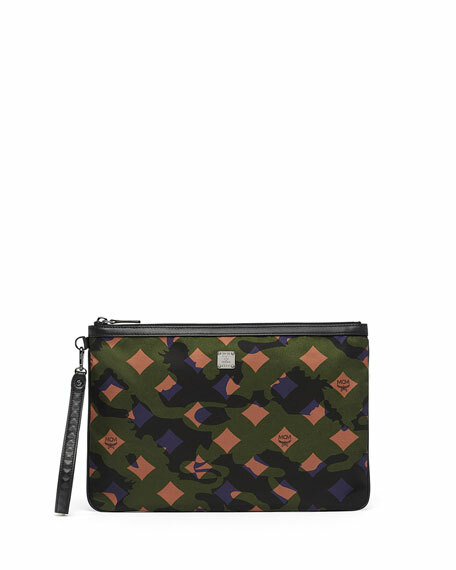 Allover logo print. Zip top closure. 6.2"H x 9"W x 0.3"D. Made in Italy.